Princess Cruises offers something quite special to those looking to add a land tour to their Alaska cruises. 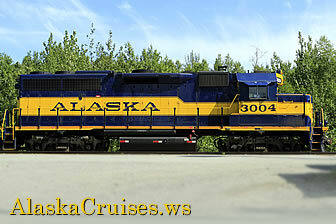 For 2015, Princess is offering some new additions to their Alaska cruise packages that include lodging at their very own Princess Wilderness Lodges. The allure of Alaska is not limited to the granduer of its magnificant coastline. Renowned as the Last Frontier, Alaska offers a very special treat to all of those extending their vacation from the coastlines inwards to the remote tundra and rugged mountains found in Denali and the Wrangell St. Elias National Parks. Choose from six fully escorted cruise and tour packages or opt for the more affordable option in their On Your Own Land & Sea offer that is geared towards the more independent-minded traveler. With no pre-scheduled sightseeing activities, this option lets you customize your 3 to 4 nights on land with a variety of optional land excursions. Princess Cruises is offering a variety of choices in just how you want to see Alaska. Princess Alaska Cruises and Princess Lodges have joined up to offer some outstanding deals on Alaska cruise vacation packages for the summer of 2015.